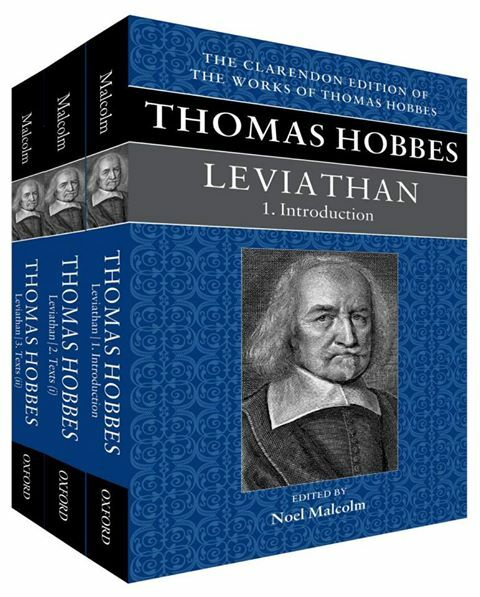 Here is my review of Noel Malcolm’s stunning three-volume critical edition of the English and Latin versions of Hobbes’s Leviathan. This superb edition was based on 25 years of erudite scholarship and careful detective-work by Malcolm. But the edition is not user-friendly. I believe that the publishers should also produce a one-volume version of the English Leviathan only, with a new introduction more geared to non-experts. I’m calling this a ‘critical student edition’, because it would in effect combine Malcolm’s critical edition with Richard Tuck’s ‘student edition’. My review is published in the fall 2013 issue (volume 2:2) of the Journal of Early Modern Studies, a fine new journal edited at the University of Bucharest. Other reviews of Malcolm’s edition have been written by Elliott Karstadt and by David Runciman. And for an audio interview with Malcolm, see here on my blog. Oxford University Press has now uploaded an online-first version of my forthcoming chapter in The Oxford Handbook of Hobbes, ed. A.P. Martinich and Kinch Hoekstra, which will hopefully be in print in 2014. Here is the link. Email me if you have problems accessing the full chapter. My chapter covers the relationship between reason, deliberation and the passions in the work of Thomas Hobbes. I reject the common view that Hobbes depicts reason as the slave of the passions, as implied by scholars such as Stephen Darwall, Susan James, Michael Oakeshott, and Paul Rahe. The relevant passages seem to have been read out of context, and the claim does not fit Hobbes’s account more generally. I also reject the view that reason governs the passions, as suggested by Bernard Gert and Quentin Skinner. Again, the textual evidence for this position seems to have been overstated. I also reject the view that Hobbes thought reason could operate during deliberation, as suggested by scholars such as Michael Losonsky, Christopher Tilmouth, and to some extent, John Rawls and David Van Mill. There is almost no textual evidence for this claim, I suggest, and again it does not make sense in Hobbes’s system. But reason can operate before deliberation, as suggested by Stephen Darwall, David Gauthier, and Jean Hampton. Reason thus informs deliberation by altering imagination and opinions, e.g. making fear of violent death more likely to be the final appetite in deliberation. Rather than reason being the slave of the passions in Hobbes, I suggest, it is the counselor of the passions, in Hobbes’s work. The analogy is not perfect but it fits Hobbes’s account better than the slave metaphor. 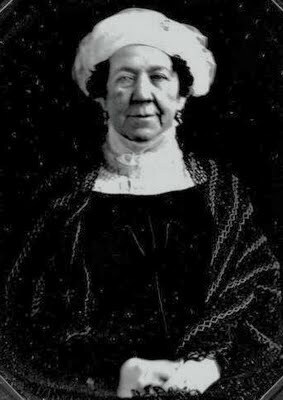 Here are two pictures of Dolley Madison, wife of James Madison and an influential figure in the White House during the presidencies of Madison and his predecessor, Thomas Jefferson. 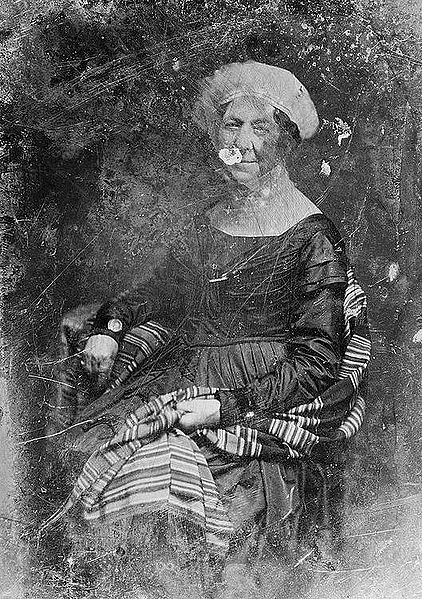 These daguerrotypes were taken in 1848, when Dolley was 80; she died the following year. I find it amazing to think that these are pictures of someone who lived through the American Revolution and was there at the founding. I failed to infuse my students with my excitement about this. Maybe it’s just not that exciting? Or maybe it’s because I was teaching this course at 9.00 on a Monday morning. Saying “I take responsibility” can help people evade responsibility, as I suggested in an earlier post: something goes wrong, but the person in charge only says “I’m responsible”, without saying what went wrong or what she will do to make things better. I used the example of Jose Mourinho – slightly unfairly, as it turned out, but the basic principle is still right. And I also suggested that journalists often get taken in by this: they may report that someone has taken responsibility without noticing that actually there has been an evasion of responsibility. Two days ago, there was an interesting example of both things – evasion of responsibility, and journalists falling for this. David Moyes, the Manchester United manager, said in an interview that he takes “complete responsibility” for Manchester United’s poor recent results in football. The BBC duly reported this in a story called ‘Man Utd: I’ll take full responsibility, says David Moyes’. But there is nothing in the interview that added any substance to the claim of responsibility. Quite the reverse: when asked to explain what needed to be done better, his answer was “a bit of everything”: “play better”, “pass it better”, “create more chances”, “defend better”. Wow! Stunning insights. The BBC story actually has zero content: there is no news, nothing of any substance. I call this kind of story ‘Mouth opens and words come out’. Interestingly, the newspaper The Scotsman reports another comment of Moyes’s which suggests that far from taking responsibility, he is actually blaming the players. Their story starts unpromisingly: Moyes “has admitted” he takes responsibility (no, it’s an evasion not an admission), and “to the Scot’s credit, he is refusing to hide behind excuses” (no, he is refusing to say what went wrong or what he will do to improve things). But the newspaper then adds that when Moyes was asked if the squad is “good enough”, he replies instead that it is “big enough”. It sounds from the context as if he knew what he was saying – and the paper rightly implies that he is being evasive here. If so, this latter comment suggests that Moyes doesn’t think the squad is good enough, and that this lack of quality is at least partly responsible for Manchester United’s current problems. This is partly a long-term problem, as Sam Wallace argues. Yet Moyes is partly responsible for the lack of quality too, given that he contributed to United’s failure to buy top players over the summer, as Phil McNulty suggests. But of course, a football manager cannot usually say in public that his squad isn’t good enough or that he made a hash of transfer targets. As a result, we end up with football managers saying nothing, and journalists – alas – reporting this as a genuine piece of responsibility.